On May 14, 2009, The United States Security and Exchange Commission charged two New Jersey men, Paul Bultmeyer and Arthur J. Piacentini with selling fraudulent, unregistered securities through Craigslist and other internet sites. The SEC reports the two men raised more than $1 million through their firms Sherbourne Capital Management and Sherbourne Financial and funneled part of their proceeds into Equitair a jet chartering company located in Rochelle Park, New Jersey. The SEC says Sherbourne Financial advertised itself on the web as "Your Retirement Income Specialist." 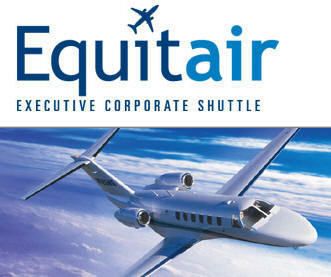 Equitair reports on their web site that they are an executive corporate charter management company, providing jet services between Rochelle Park New Jersey, and other major cities, the company began operations in the fall of 2007, under part 380 US Department of Transportation regulations. It operates as an indirect air carrier and has contracted with Maine Aviation Air Charters, LLC. as a direct air carrier to provide operational services. Equitair a non “Direct Air Carrier” providing “charter flights” operating under the terms of a charter contract between a direct air carrier and its customer. A direct air carrier is a certificated or foreign air carrier, or an air taxi operator or commuter air carrier. According to the Commission's Complaint, the fraudulent scheme was orchestrated by Paul G. Bultmeyer, 68, of Upper Saddle River, NJ, and Arthur J. Piacentini, 48, of Saddle Brook, NJ. The Commission alleged that at least since 2004, Bultmeyer and Piacentini have operated the investment firms Sherbourne Capital Management, Ltd. and Sherbourne Financial, Ltd. Bultmeyer and Piacentini also operate Ameripay, LLC, a payroll services company based in Rochelle Park, NJ, that has numerous New Jersey municipalities and small businesses as clients. Bultmeyer is also Chief Executive Officer of Equitair, Ltd., a charter aviation company. The Complaint alleges that Sherbourne Financial, on its website, offered investors "Prime Certificates of Participation" and claimed that Sherbourne would use the proceeds to invest in private placement debt, high-grade corporate bonds, preferred stock, and government securities. Sherbourne claimed that its investments were safe and in some cases insured. The complaint also alleges that Sherbourne, however, did not invest in any such securities. Rather, Sherbourne transferred a net of over $900,000 to Ameripay, Bultmeyer, Piacentini, and Equitair. The SEC's complaint charges each of the defendants with violations of Section 17(a) of the Securities Act of 1933, Section 10(b) of the Securities Exchange Act of 1934 and Rule 10b-5 thereunder. The complaint also names Ameripay and Equitair as relief defendants only. The SEC's complaint seeks injunctions against future violations of the securities laws, disgorgement of ill-gotten gains, and civil money penalties against the defendants, in addition to the expedited relief the Court granted.